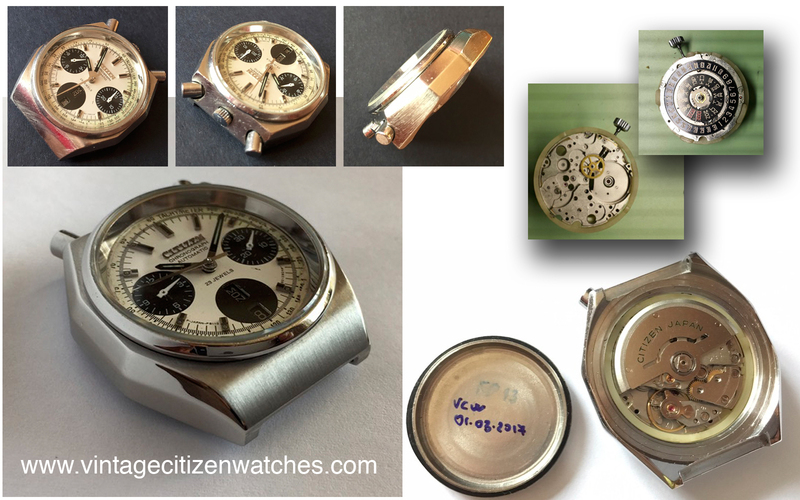 This entry was posted in automatic, calendar, Citizen chronograph, Uncategorized, vintage Citizen, watch service and tagged citizen 67-9356, citizen bull head, citizen restoration, citizen service, citizen watch restoration, citizen watch service, watch restoration. Bookmark the permalink. Can you please provide more pictures of different angles on the restored watch? The watch is already sent to its owner. I didn’t take too many pictures, sorry. I kept it only a little while after it was serviced before returning it. 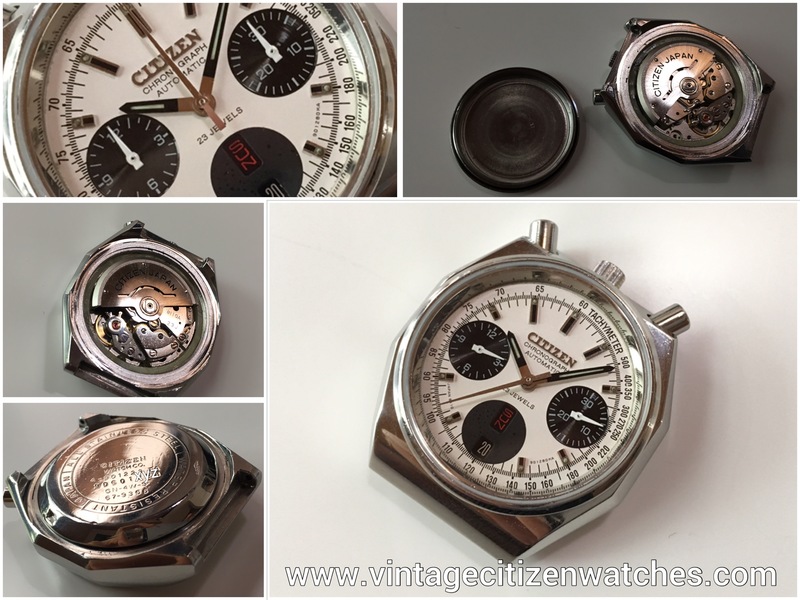 Hello, very nice blog and very interesting posts, I love vintage citizen, specially the 8110a, it seems to me something like the utimate time machine, In fact I´m the owner of 2 of those, one gorgeous “spyder” model and recently one bullhead, I´m a jinx with that one. I want to tell you my experience, if you don´t mind, beocuse I´m worried. After purchase and return 2 defect units I get that one recently, during holidays. It belonged to a watchmaker so It looks good. For a perfect ending, I get it to a local watchmaker to replace de damaged dial (it was no original), it was finally ready! But yesterdey I noticed that de 12 hours chrono hand doesn´t reset to exactly 0, and de seconds chrono hands started to do the same. It sometimes reset like 0,5 second before “12 o´clock”, but after try to reset one more time it reset like 3 seconds before 12! I´m scared and worried, I didn´t notice that problem before but the fact is I didn´t test the watch a lo before to left it to the watchmaker. Important the fact that the reset pusher works very fine with the date adjust function, but in a hard way to reset/ flyback chrono. It´s something broken, it only need service? can be that te watchmker damaged it? It´s not a rookie, he said it worked with 8110a before so It seems to me strange. I weared it for some days, with no strange fisical activity. Can you give me any advice? thank you a lot.